Railpictures.ca - colin arnot Photo: CN 2226 and GECX 7785 have a clear road east at Lindbrook throwing up the fresh snow as they pass. | Railpictures.ca – Canadian Railway Photography – photographie ferroviaire Canadienne. 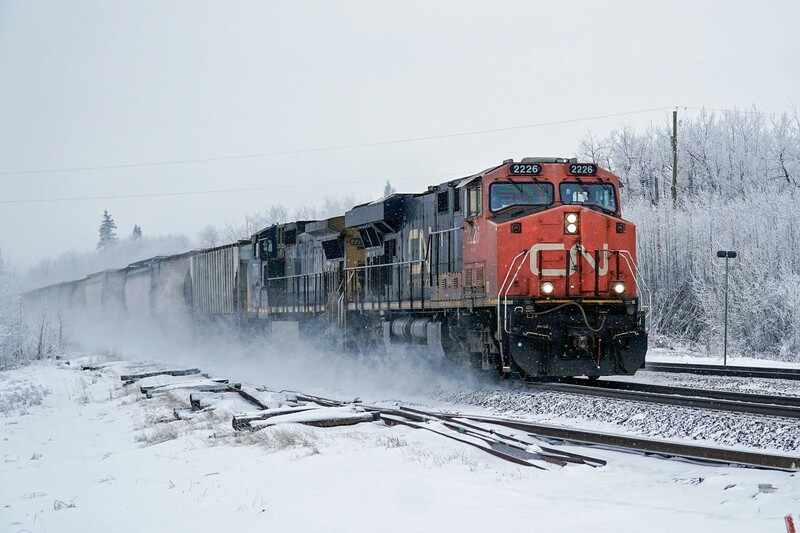 Caption: CN 2226 and GECX 7785 have a clear road east at Lindbrook throwing up the fresh snow as they pass.